Scientists at the University at Buffalo are developing a necklace that will track your food intake by the sound you make when you’re chewing it and gulping it down. No more embarrassing food journals! Just embarrassing accessories! The library allows the AutoDietary device to identify what their wearers are chewing and swallowing. 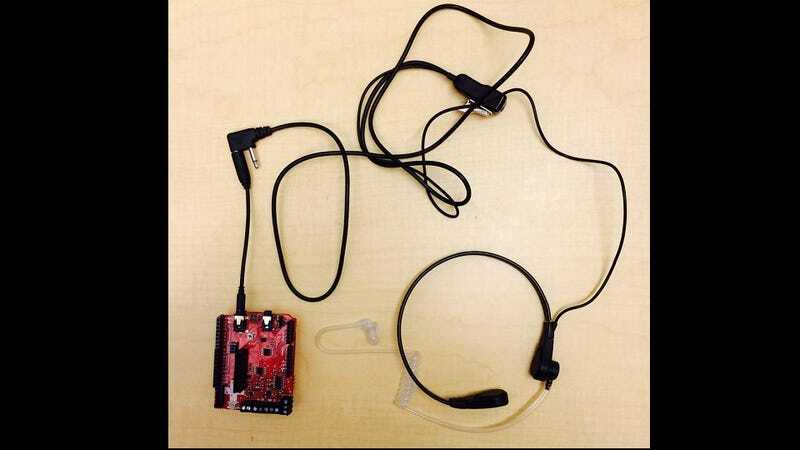 The necklace will send the information to the user’s smartphone via Bluetooth where the food intake data is stored. While the technology is relatively well refined identification process isn’t yet perfect. A study done on 12 subjects eating apples, carrots, potato chips, cookies, peanuts and walnuts determined that AutoDietary is 85 percent accurate in distinguishing between different foods. It obviously also can’t distinguish between, for example, milk and chocolate milk. However, when the team lent the necklace out to 53 people, most of them were satisfied with AutoDietary’s ability to track their food. The researchers say they will continue expanding the library and making the device more accurate. One day, they’d like AutoDietary to identify the food being eaten and display nutritional information—allowing users to see how much sugar, fat, and other substances they’ve taken in, and track how its metabolized by their body. This may help not only people who don’t want to painstakingly record all their food in a journal, but also people like diabetics who need to monitor their hour-to-hour blood sugar.